Michael Aronovitz is an author of weird fiction. His first collection titled "Seven Deadly Pleasures" came out through Hippocampus Press in 2009. His first novel titled "Alice Walks" came out in a collector's hard cover edition through Centipede Press in 2013, and was put in paperback format by Dark Renaissance Books in 2014. His second collection titled "The Voices in Our Heads" came out through Horrified Press in 2014, and his latest novel titled "The Witch of the Wood" came out through Hippocampus in late 2014. Aronovitz will publish his first young adult novel titled "Becky's Kiss" through Vinspire Press in November of 2015. 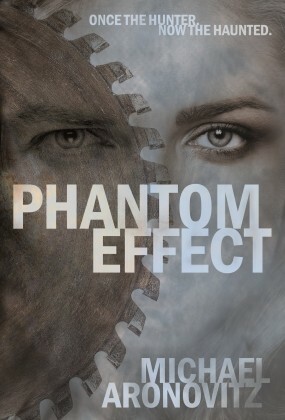 Additionally, his third novel titled "Phantom Effect" will be coming out through Night Shade Books in the fall of 2015. Currently Aronovitz is working on his fourth novel titled "Dead Red." He lives in Pennsylvania with his wife Kim and their son Max.